Wearing designer items in the workplace is a polarizing topic, and most of us have strong opinions on it. I recognize that the nature of the work you do will play a role in your decision whether or not to bring your designer items to the office, but I have to pose the question. I’m a purse fanatic by night, but I hold a full time position at a university, so I have grappled with this question myself. I personally do carry my designer items to the office, but I didn’t come to that conclusion without a long winded internal debate. 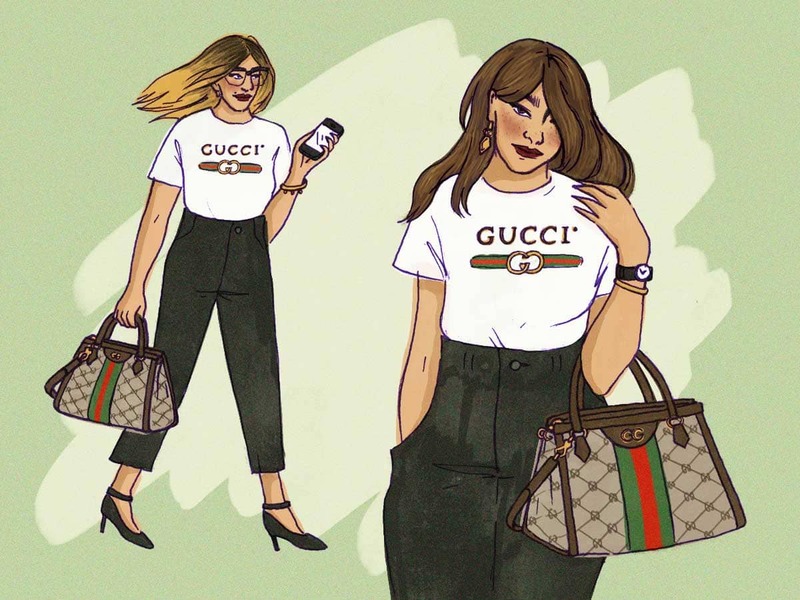 Some designer items are obscure and can be worn undetected, but when you have a love for Louis Vuitton and monograms, it’s nearly impossible to stay under the radar. After going back and forth on whether to bring my bags to work, I’ve come to the conclusion that I buy my designer items to enjoy, and since I spend 40 hours a week at the office, I want to wear them everywhere I go. My bags don’t go unnoticed at the office, and I’m okay with that. I’ve found a few fellow purse lovers and PurseBlog readers at work, and I even helped a colleague—turned friend—help pick out her first premier designer bag: a Louis Vuitton Neverfull. Her family has nicknamed me “Louis Lucy”, a label that I fully embrace and love. While I choose to carry my designer bags to work, I completely understand why some people would choose not to. As purse lovers, the amount of money we spend on bags can be staggering, and it’s understandable that you wouldn’t want your employer to know what you spend your paycheck on. The question of “how much did that cost?” is one that I have come to fear, but luckily have avoided thus far. However, carrying my designer items to the office has worked well for me, and I will continue to carry mine despite the fear of being judged for spending so much on a handbag. I’m asking here and now—do you wear your designer items to work?